Rati Mehrotra: Don’t forget the fourth, i.e. mythology! All these elements came together very organically for me. They were simply fundamental to the world I wanted to build, and the story I wanted to tell. I think my biggest challenge was the balancing of these genres such that none took over the other, that they made sense together, as a whole, allowing a reader to suspend disbelief. Many years ago, when I was still trying to pitch these novels unsuccessfully, one of the feedbacks I received was that I should do away with the portals, that they were an unnecessary device, and I should write a pure fantasy novel instead. Needless to say, I did not listen to this particular feedback, even though it was from someone in the field I respected. The science fictional aspect of the duology is quite essential, both for the past and the future of ASIANA. I found the relationship between Kyra and Rustan to be especially interesting because so much of it is predicated upon their mutual trust and respect, which are often lacking in YA fiction. What, for you, is the best aspect of Kyra and Rustan’s dynamic? For me the best part is how they don’t lose sight of their responsibilities, their friendships, and vows to their respective Orders. Much as they love each other, they understand that they do not own each other. Romantic love can be pretty all-consuming, but it should not come at the cost of friendships and other relationships. They do not let this happen, and that, to me, is a sign of strength and maturity. There are strong anti-gun statements throughout the ASIANA duology alongside acknowledgements that guns aren’t the only means humans have of inflicting violence upon one another. Why was it important for you to share this viewpoint, in this way, with your readers? What do you hope they’ll take away from it? I am strongly anti-gun myself. I started writing these books nearly a decade ago, and at that time, newly arrived in North America, American gun violence was not at the forefront of my mind. The kalashik, in fact, is inspired by the Kalashnikov, long the most popular assault rifle in Asia. As I continued writing, and kept reading one terrible news story after another, the belief grew stronger and stronger within me that, while weapons are merely tools, providing our society with easy access to tools of mass killing is both stupid and evil. I took this to the extreme in my book, making kalashiks sentient and bloodthirsty, able to take over the minds of their handlers. But the metaphor is evident. Kalashiks do not belong in the world of Asiana. Guns do not belong in ours. 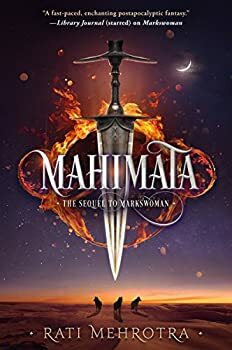 Now that Mahimata is out in the world, are you working on anything new and exciting that you want to share with our readers? I’m working on a new urban fantasy based in Toronto that I haven’t even pitched yet. It was a lot of fun to write. I actually started writing it while editing Mahimata, to give my creative self a break. Hopefully one day I will be able to share it with everyone! Especially as it features an older woman hero, something I don’t see often enough in fantasies. We definitely don’t see that enough, and I’d be interested to read your take on urban fantasy. 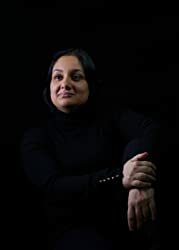 Finally, we like to ask authors if they have a favorite drink; perhaps something you enjoyed to celebrate Mahimata’s publication, or a beverage that fueled your creative process during work sessions? Chai, always and forever! I boil loose leaf Darjeeling tea leaves in a 50-50 mix of milk and water, adding freshly crushed green cardamom and ginger. I let it brew until it is golden brown and smells heavenly. Then I strain it and add honey to taste. The cup that “cheers and not inebriates” has propelled me through many a weary writerly night. That sounds truly delightful, and I’m equally partial to a mug of hot chai in the morning to shake the cobwebs off my brain. Thank you for your time, Ms. Mehrotra! I really appreciate it! Thank you for having me, Jana! Readers, comment below for a chance to win one copy each of Markswoman and Mahimata! U.S.- and Canada-based mailing addresses only, please. I’ve heard great things about this duology! I hope to read them very soon! I’ve seen this duology advertisted a lot. Thanks for your generosity in this giveaway! This duology sounds very interesting. I’d love the chance to read them. Thanks for the giveaway! I appreciate Rati’s first response, because my son loves anything based in mythology! The series gets more interesting the more I hear about it. I l like that you disregarded feedback from a respected source because it was not right for your story. I also like th at you are going to have a n older woman protagonist. I’m going to look for that and read it! I’m always glad to see war portrayed as the evil it is. All the way back to books like Animorphs. Looking forward to discovering what that next series will be. Thank you for the giveaway! 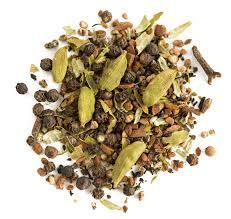 I’ve thought cardamom in tea could be great. 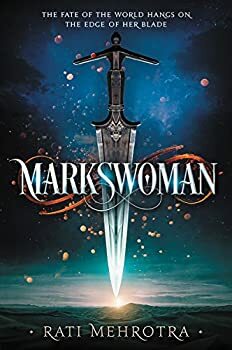 I really enjoyed Markswoman and can’t wait to continue Kyra and Rustans story! Brooke, if you live in the USA, you win a copy of Markswoman and Mahimata!